Clarksville, TN – On Monday, August 21st, 2017, Old Glory Distilling Company will hold a Total Solar Eclipse viewing party from 9:00am until 4:00pm. 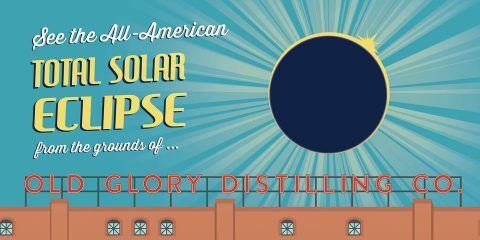 See the All-American Total Solar Eclipse from the grounds of Old Glory Distilling Company! This Family Friendly event will be full of Live Music, Food Trucks, Special Edition Craft Cocktails, Beer, Games, and more! 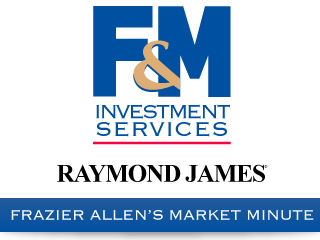 This event is free to the public, but Private 15’x15′ VIP Lawn Space Packages are available for $75.00. 4 Drink Special Wristbands for those ages 21 and up. Private spaces comfortably seat 4, and multiple spaces can be reserved together for larger groups. Lawn chairs, blankets, friendly dogs, and coolers (subject to inspection) are welcome. Pop-up tents will only be allowed in Private VIP spaces. Outside alcohol is strictly prohibited. Craft Cocktails and Beer will be for sale all day long. A limited number of Special Recipe Solar Shine bottles & All-American Total Solar Eclipse T-shirts will be for sale the day of. Old Glory Distilling Company is located at 451 Alfred Thun Road, Clarksville, Tennessee.